Check out at the long list of invaluable vendors and seminar leaders on the Alumapalooza 6 program. This is our most educational, hands-on year yet! One of the most exciting and beneficial aspects of attending Alumapalooza is the opportunity to get up close and personal with Airstream factory experts—like Tim Maxwell, Regional Director of Sales, and Rick March, new GM of Parts and Service. 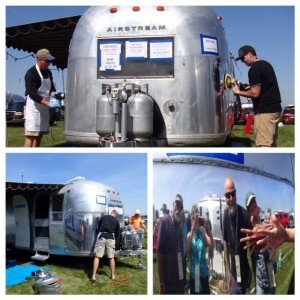 Tim and Rick will host a general discussion about maintenance and all things Airstream. Owners of new coaches, don’t miss this opportunity to learn from these top execs—bring your tech questions! DIYers, join Terry Halstead’s tech talk on Airstream repair and learn how to fix common Airstream maintenance issues. Terry—an ASE certified master mechanic and Airstream factory-trained service tech—guarantees you’ll come away with valuable tips that will save you an inconvenient (and costly) trip to the service bay. 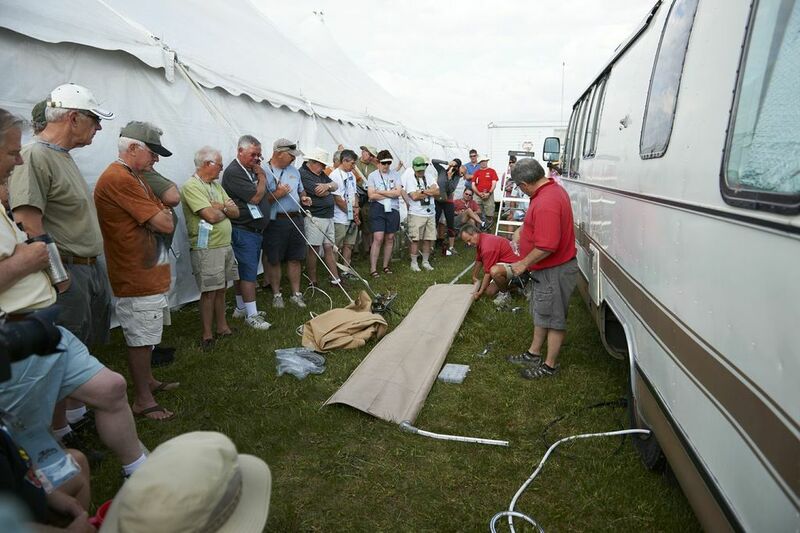 Colin Hyde, Vintage Airstream Club technical advisor and expert panel member of TheVAP (The Vintage Airstream Podcast) will lead a seminar and open forum about vintage restoration. Are you wondering about the do’s and don’ts (and maybe’s) about customizing your vintage trailer? This session is for you. If you’ve ever experienced low or high tire pressure, flats or leaks, bearing failure, brake drag or non-floating caliper (or don’t even know what that means), be sure to attend Jerry O’Connell and Steve Rosenthal’s important lecture on tire pressure monitoring. Not an overstatement: it could save your life. Patrick Scharff, Field Sales Representative for Nuvite Chemical will engage you during his fascinating and helpful hands-on polishing and exterior maintenance session. You’ll learn about the special tools and techniques needed to achieve that mirror-like finish. Can-Am RV’s Andy Thomson will have you towing like a pro after his seminar! Andy—well known for setting Airstreamers up with unique towing combinations—will explain towing dynamics and teach you how to adjust your hitch properly for optimum performance. As with every Aluma-event seminar, there will be Q&A, so bring your towing questions and concerns. Dexter Axle’s Jake Borens will host a seminar about maintaining the running gear, axles, brakes, and bearings on your Airstream. ← Saturday headliner: Edgar Cruz!